No spring season can pass by without the striped trend and one of the ways to pull off this trend is to wear a striped shirt. 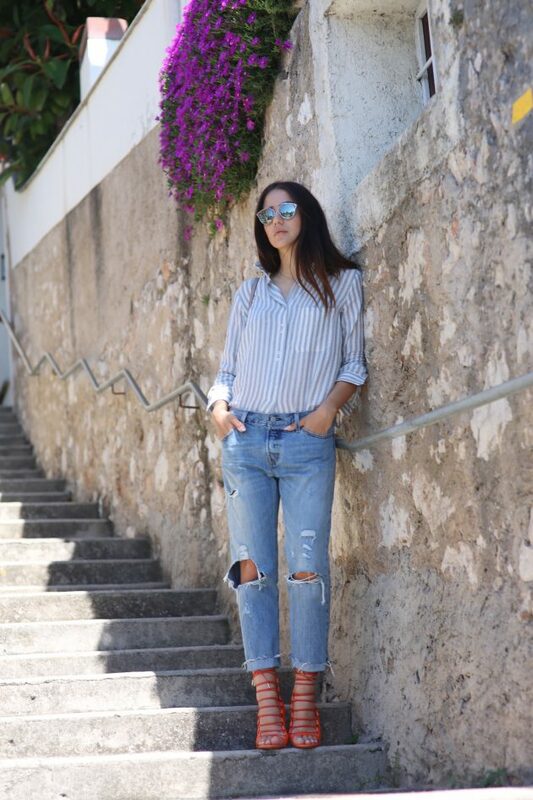 Striped shirts will be really popular this spring and today we want to show you how you can style them. Striped shirts can be found in all colors possible and can be with thick or thin, horizontal or vertical stripes, so there is definitely a shirt for everyone’s taste. You should make sure to find the right one for your body. The horizontal stripes are the ones that can make your body slimmer and he vertical ones can make you look fuller. Also, you should stick to fashion rule of wearing patterns with one colored pieces of cloth. So, when wearing a striped shirt, combine it with one colored bottoms, like jeans, pants, or skirts. 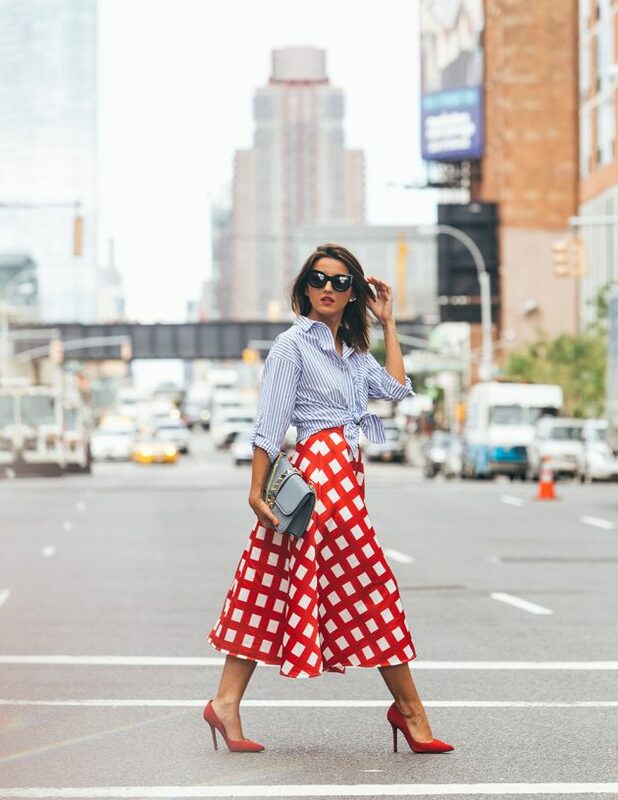 Here are several outfits that you may love to copy this spring. Striped shirts can be found in versatile styles and can be part of your versatile outfit combos. the ones with ruffles, off the shoulders or with bell-sleeves will look great with some jeans and heels for a coffee date. And the simple button down striped shirt can be part of your office attire, paired with some classy pants. Striped shirts can be also found with some patches or embroidery and they will be also really popular this spring. The floral embroidery is the most common design for such shirts, since stripes and flowers are the most common choice. Also, you can find some stripe shirt with a quote on it to express your style. So, which one from the above spring outfits with striped shirts did you like the best? Tell us in the comments and make sure to get yourself one such shirt for the upcoming spring season. And of course, stay up to date with the content of Fashionsy to find many other outfit ideas for your style inspiration. How To Wear Leggings And Not Look Like You’re Going To The Gym?